Check in at the massive LA Biergarten with 100 beers on tap and enjoy a free welcome shot. DJ’s, live music, and St. Patrick’s Day photo booth all day and night. 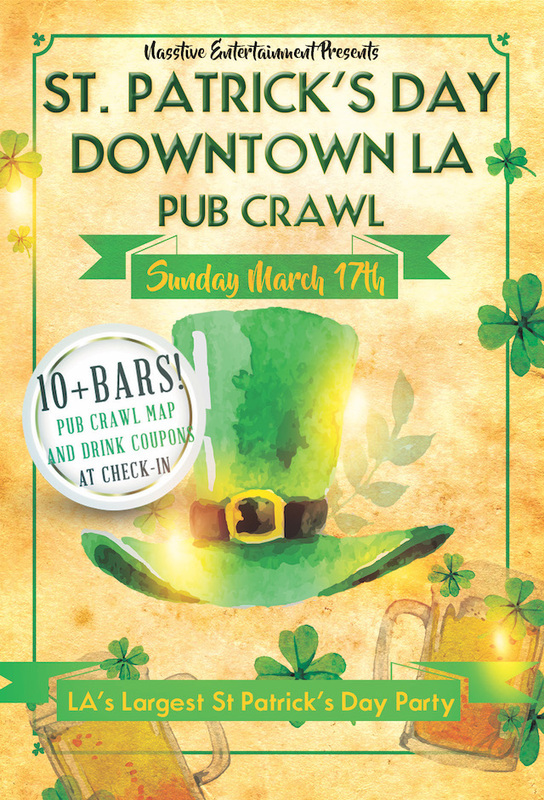 Check in anytime between 1pm to 7pm (Sunday, 17th) or 2pm – 8pm (Saturday, 16th) at LA Biergarten – 750 S. Broadway Ave.
Party all along Pine Ave and the Promenade in Long Beach with hundreds of fellow St. Paddy’s celebrators. Check in any time from 1 pm to 7 pm at The Harbor (130 Pine Avenue) to pick up your wristband.